Two of my favorite kitchen shortcuts are frozen veggies and the slow cooker. Frozen veggies are a staple because they can be added to soups or stir-fries and can easily be cooked up for a veggie side. Plus, when it’s the day before grocery day and you’re out of the fresh stuff, frozen fruits and veggies are a great healthy alternative. The slow cooker is my other kitchen BFF. I go on kicks where I use it several times a week, and whenever I take a slow cooker hiatus, I kick myself because it makes dinnertime so much easier. There is nothing better than filling the house with delicious smells and having dinner ready as soon as you (and your family) are hungry. 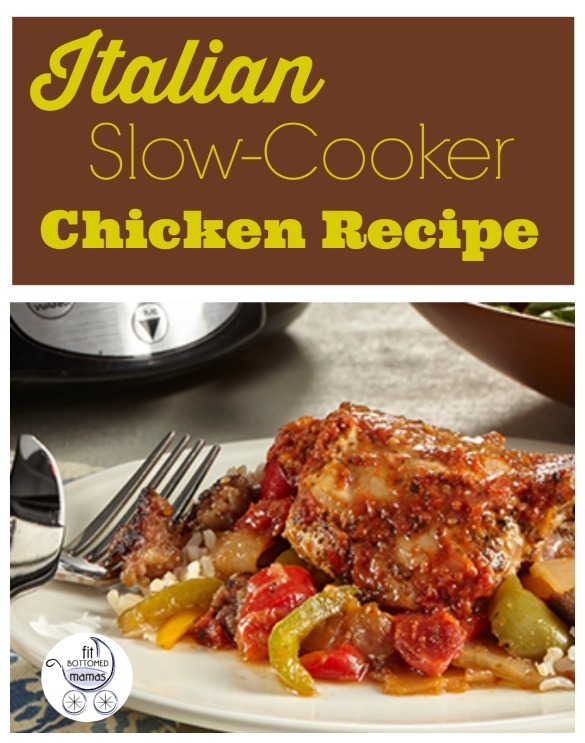 This recipe from Birdseye combines these two kitchen shortcuts to create a slow cooker chicken recipe. Super easy, this Italian-style chicken can be served over rice or pasta to please even picky eaters — and it’ll give you an excuse to pop a bottle of vino! Spray the insert of a slow cooker with nonstick cooking spray. Scatter the pieces of Italian sausage over bottom of the insert. Add Tri Color Pepper & Onion Blend on top of the sausage and then lay the chicken on top of the vegetables. Season the chicken with salt and ground black pepper. Then layer on the garlic, herbs, wine and tomato sauce. Cook on High 4 hours or Low 8 hours or until chicken is tender. Serve with rice or pasta with some Parmesan cheese. For weeknight cooking, layer everything into the insert the night before and keep it in the refrigerator, ready to transfer to the heating base in the morning.